Gummy Bear breast implants have been available around the world for around a decade now which is about as long as the life expectancy of some other inferior types of breast implants. There is no coincidence that many women who had regular silicone breast implants or saline breast implants before the Gummy Bear breast implants were available, are now looking to change. 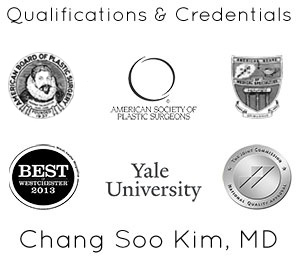 Acquiring knowledge about the breast augmentation surgery is the first step on your path to a stunning new you. It is one of the most popular and repeatedly performed aesthetic surgical procedures. This cosmetic surgery has a long and flourishing track record in pleasing women who wish to regain, enhance or restore contours to their figures. Saline implants, unlike Gummy Bear implants, are almost certain to leak at some point in their life cycle. When they break, they often leak very quickly so the deflation will be obvious. This is not always the case so if you suspect your implant has started to leak, be very careful as pressure applied to the implant will cause faster leakage. The leakage itself is often not very dangerous because the body can naturally absorb the saline solution. There are sometimes complications if there is some sort of contamination in the implant such as bacteria or fungus. For this reason, among others, if you know or suspect that there is a problem with your saline breast implant, you should consult your doctor. If a regular silicone gel implant is damaged, the effect will usually be much less severe and take longer to become obvious. This is a double edged sword because while it means you won’t need to take action and the breast remains looking normal, silicon is not as friendly to the body as saline is. It could travel to the lymph nodes from which it cannot be removed. What to do if you experience Difficulties? If you are in a situation where you may suspect that there is something wrong with your implants, we urge that you come and see Dr. Lyon and the expert team at Bellava Medical Spa in Westchester. We can reduce the risk of ongoing medical complications due to a damaged saline or silicone gel implant significantly. The best way to treat such a situation is to have the implants removed immediately. In order to return the breasts to the size they were with the implants in place, Gummy Bear implants are the option recommended. This is because they have a much lower rate of complication than regular implants. 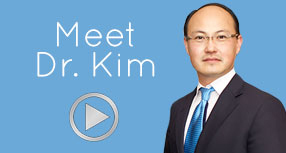 Dr. Lyon is one of the leaders in the newest generation of breast implants. Gummy Bear breast implants are what we recommend at Bellava Medical Spa and they are the safest and longest lasting option available. If you have had breast augmentation or enhancement in the past and are unhappy with the result, come and see us today to discuss your options for an improved you.